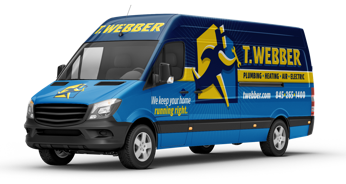 Home Surge Protection - T.Webber Plumbing, Heating, Air & Electric. Power surges occur frequently, and major ones can cause serious damage to your home. Surges are especially common during summer storms as power companies struggle to regulate distribution. Your home likely has more than 20 power surges every single day, and while most are harmless, the next sure could wreak havoc on your appliances and electronics. With whole home surge protection, you can avoid such disasters. Heavy duty electrical appliances, such as air conditioners and refrigerators, are major causes of power surges. When these motors cycle on and off, they cause 20 or more surges or daily. Even smaller devices like power tools and hair dryers can cause internal power surges. External power surges occur as the result of occurrences outside the home. You may experience a surge when a tree branch touches a power line or an animal enters a transformer. Surges also commonly occur when the power comes back on following an outage. Why Are Power Surges a Big Deal? Power surges can cause serious damage to appliances and electronic devices. Devices containing microprocessors – such as computers, cell phones, televisions, refrigerators, dishwashers, and microwaves – are especially at risk. While you may not notice the damage right away, low-level power surges cause gradual damage that could cause the device to eventually fail. Larger surges can destroy circuits instantly. A whole home surge protector prevents high-energy surges from entering your home. These systems provide top-of-the-line defense for major appliances and electronics. Whole home protectors are hard-wired into your electrical box by a licensed electrician. At T.Webber Plumbing, Heating, Air & Electric, we also offer a full range of electrical services, including whole home surge protectors. These systems are recommended by both Business Home Safety and the National Fire Protection Association, and we can help you give your home the protection it needs. To learn more about whole house surge protectors or to schedule an appointment with a Hudson Valley electrician, contact us today. Call 845-288-2777.